Power Zone is a Trading Card Game created by Zaziuma. I have been working on this for a while now on Dueling Network Forums, but as there is not as much activity over there anymore, I wanted to post it here as well. I once made another game called Power Realm, this is a reimagining of that game, due to my computer breaking, and me losing my project files and me having lost a lot of the progress with cards as well. However, this also gave me the option to change certain aspects of the game, hopefully for the better. The game is however mostly the same, with the biggest change so far being the addition of Sub-Groups and that sets are now only 30 cards at the same time, and also have names, so if you already know the game, you can jump right into this one. If you have any questions, you find any issues or simply have a suggestion, feel free to post it below. Below you'll find the rules and the cards, there will come more at another time, which I will update about in this thread. NOTE: I do not own this art, nor the template used, this is only for demonstrative purposes. I am not an artist, this is only a hobby and not meant for distribution. I do not claim to own any assets, other than the game concepts and rules. 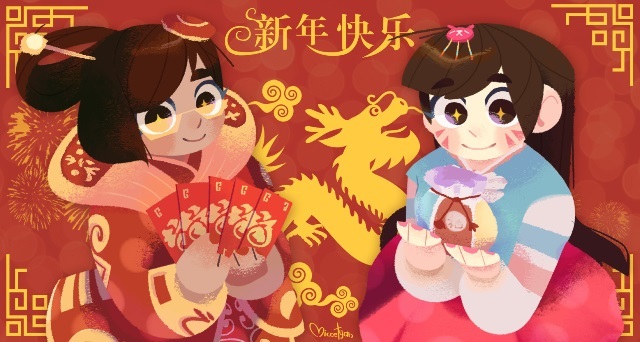 Click here to view all the cards on deviantart! Or you can download and view them in Magic Set Editor, which is a custom card editor which I used for the template. Elements of Power: The first set is called Elements of Power (EOP) and contain 3 Groups, Water, Fire and Nature. These Groups have many various playstyles in this set, which is meant to set up a diverse game from the get-go, allowing players to play in many different ways. It is simple though as well, as it's the first set, it won't overwhelm you either. It features 5 Terms, those being BARRAGE, TEAM, BLOCK, QUICK and MEDIC, which you can read about in the rules. It also features many Sub-Groups as well, as it's the first set, these are not all explored so far, with the only one so far being the Flame Beast Sub-Group. Men & Machine: The second set is called Men & Machine (MEM) and contains 2 new Groups, Human and Machine. As with the previous set, these Groups don't focus on much due to this being early sets, so these go for various different playstyles. This set also contains cards for the Water, Fire and Nature Groups, as well as previous Sub-Groups, and also introduces brand new Sub-Groups such as Ice and Robot. It introduces 5 new Terms, those being SAFE, DISARM, DISTRACT, INJURE and IMMOBILIZE, which you can read about in the rules. It also introduces random chance, in the form of coin toss, which you can read more about in the advanced gameplay section. Dragonbirth: The third set is called Dragonbirth (DRB) and contains 1 new Group, Dragon. Dragons tend to have higher ATK and DEF, but of course there are exceptions, though they are made to be used for different playstyles, since we are still in the early days. The set also contains cards for the Water, Fire, Nature, Human and Machine Groups, as well as the previous Sub-Groups, and also introduces brand new Sub-Groups Electric and Draconic. It introduces 5 new Terms, those being PEEK, FORESIGHT, BREAK, STANDOFF, COUNTER, which you can read about in the rules. Otherworldly Invasion: The fourth set is called Otherworldly Invasion (OWI) and contains 1 new Group, Otherworldly. Otherworldly are aliens, demons and other fantasy creatures and generally contain some strange effects. The set also contains cards for the Water, Fire, Nature, Human, Machine and Dragon Groups, as well as the previous Sub-Groups, and also introduces brand new Sub-Groups Alien and Fantasy. It introduces 5 new Terms, those being SOLO, FLIPPER, MOVER, TIRED, SWITCH, which you can read about in the rules. Civilization Rises: The fifth set is called Civilization Rises (CIR) and contains 1 new Group, Structure. Structures are things such as cities or buildings as well as weapons and magical objects. The set also contains cards for the Water, Fire, Nature, Human, Machine, Dragon and Otherworldly Groups, as well as the previous Sub-Groups, and also introduces brand new Sub-Groups Location and Object. It introduces 5 new Terms, those being EXCHANGE, ANTIATTACK, ANTIDEFENSE, ANTIHEAL, STATIONARY, which you can read about in the rules. Megagrowth: The sixth set is called Megagrowth (MEG). This is the first set not to introduce new Groups or Sub-Groups, however it does introduce a new concept, Name-Groups. As the name suggests, these are cards which share some of their name with each other and support each other. This set introduces 2 Name-Groups, the first is called Machine of God, which you may already have known about, as these had cards before, but now they have their first support card, the second is a completely new one though, called Burnbuddy. These are all in the Fire Group and focus on inflicting effect damage in a unique way to them. You can also read about Name-Groups in the rules. It introduces 5 new Terms, those being DISLOCATE, LOCK, ALLY, WALL, HALT which you can read about in the rules. Extreme Strength: The seventh set is called Extreme Strength (EXS). This is the second set not to introduce any new Groups or Sub-Groups, however it does introduce two new Name-Groups. The first is called Mechdemon, which focus on switching on and off the opponent's cards that use the Term SWITCH. The second is called Powerpirate, and are cards with 0 ATK and DEF who focus on gaining ATK and DEF from the opponent's cards. It introduces 5 new Terms, those being CLASH, ANTISOLO, ANTITEAM, ANTIALLY, REINFORCEMENT which you can read about in the rules. Mysterious Worlds: The eighth set is called Mysterious Worlds (MYS). This is the third set not to introduce any new Groups or Sub-Groups, however it does introduce two new Name-Groups. The first is called Elemental God, which directly relate to the Machine of God Name-Group and support them as well the Fire, Water and Nature Groups. The second is called Shapeling, which focus on supporting the Structure Group, and using each of your zones differently. It introduces 5 new Terms, those being TAG, REFLECT, CATAPULT, BOUND, UNBOUND which you can read about in the rules. Powerpath: The ninth set is called Powerpath (POP). This is the fourth set not to introduce any new Groups or Sub-Groups, however it does introduce one new Name-Group. The new Name-Group is called Helmed Heroine, which focus on using the Term TAG and are all in the Human Group and Warrior Sub-Group. It introduces 5 new Terms, those being SWAP, CHAIN, DRAIN, VAIN, BURDEN, which you can read about in the rules. Also, another question has been added to the Advanced Gameplay section called: "Can cards lose their target if the card moves?" Universes Collide: The eleventh set is called Universes Collide (UNC). This is the fifth set not to introduce any new Groups or Sub-Groups, however it does introduce one new Name-Group. The new Name-Group is called Meknight, which are in the Machine Group and Vehicle Sub-Group. which focus on cards that do not have effects and cards whose effects are negated, and each have DAZED and RECOVER as well (except the effectless cards of course). It also introduces 5 new Terms, those being ARRIVAL, STRENGTH, BOOST, DEMEAN, SKIP, which you can read about in the rules. STARSTORM: The twelfth set is called STARSTORM (STS). This set introduces a new Sub-Group called Plantlife, which focus on flowers, plants, trees and other related things. Along with that, it introduces a new Name-Group called Monstar, which are all in the Nature Group and Monster Sub-Group, and focus on having a bunch of different Sub-Groups on the field at once, which they achieve by each also being a part of a different Sub-Group while on the field, such as the new Plantlife Sub-Group among many others. It also introduces 3 new Terms, which will be the new standard from now on, those being SALVAGE, EXHAUSTED, CLOGGED, which you can read about in the rules. Burst of Flames: The thirteenth set is called Burst of Flames (BOF). This is the sixth set not to introduce any new Groups or Sub-Groups, however it does introduce a new Name-Group called Dragonforge, which are all in the Dragon Group and Draconic Sub-Group, and are also in the Fire Group while face-up on the field, and focus on the new game mechanic, equipping, which you can read about in the Advanced Gameplay section in the rules. It also introduces 3 new Terms, those being RECOIL, ACTIVE, SUSTAIN, which you can read about in the rules. Bottomless Seas: The fourteenth set is called Bottomless Seas (BOS). This is the seventh set not to introduce any new Groups or Sub-Groups, however it does introduce Name-Group called Abyssmal, which is a Water Group with various Sub-Groups, they focus on placing Abyss Counters on cards, and their names are all references to water in some way, they are the first Name-Group to be focused around the Counter mechanic introduced in Great Feats, so if you don't know about that, you can read more about it in the Advanced Gameplay section in the rules. It also introduces 3 new Terms, those being FEARED, CUSHION, ANXIOUS, which you can read about in the rules. Rise of the Dead: The fifteenth set is called Rise of the Dead (ROD). This set introduces the Undead Sub-Group, which are based around ghosts, skeletons, zombies, vampires and so on. Along with that, it introduces a new Name-Group called Pureblood, which are themselves in the Undead Sub-Group, as well as being in the Human Group, and they focus on healing themselves by damaging your opponent. They are a high risk/high reward, all of them having over 20 ATK and DEF, and a lot of powerful effects, because at the end of your turn, if your HP are lower than your opponent's, you have to either take 1 damage to your HP to keep the card face-up, or flip it face-down. Thematically, they are based on vampires, and the names reference prejudice and racism towards human sub-species, see the cards Heio, Wise Assault Owl and Nasiko the Elf Ninja for more lore, as they support Undead, and dislike having others on the field. It also introduces 3 new Terms, those being MUDDLE, FRENZY, SLOW, which you can read about in the rules. Additionally, I have updated the Terms list to be more organized, as well as fixing some mistakes I made, check the content list at the top of the document for quick access to the sections. Eternal Struggles: The sixteenth set is called Eternal Struggles (ETS). 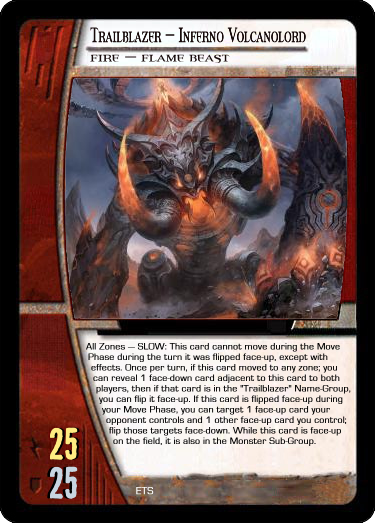 This is the eighth set not to introduce any new Groups or Sub-Groups, however it does introduce Name-Group called Trailblazer, who focus on a gimmick revolving around moving their cards around, then revealing a face-down card adjacent to them, and if it's a Trailblazer, you get to flip it face-up, and if they are flipped face-up during your Move Phase, then another effect activates. They are all in the Fire Group and Flame Beast Sub-Group, and the name refers to the word blaze, which of course means fire, and trailblazing, which related to helping others on a hiking trail or through a forest for example, which related to their moving gimmick. It also introduces 3 new Terms, those being POISE, UPGRADE, SHUTDOWN which you can read about in the rules. Elemental Spring: The first mini set is called Elemental Spring (ELS). It features 15 new cards. This is the first mini set, and it focuses on support for the Fire Group, Nature Group and Water Group. There is no specific theme other than that, but some of the cards are able to interact with each other. As this is a mini set, no new Terms are introduced, and neither is a Name Group this time around. Historic Discovery: The second mini set is called Historic Discovery (HID). It features 20 new cards. This mini set is support for Non-Effect cards, or in other words, cards which only have italic text. These cards have been in almost every set so far, and have had support here and there, but I wanted to expand them, there are now 30 cards in total, 17 new cards as well as 3 support cards in this set. Each Sub-Group that previously didn't have a Non-Effect card has also gotten one, as well as some extra ones for those that had. Previously, Non-Effect cards mainly had high ATK and DEF, though now I have expanded on that to have various kinds of ATK and DEF. To support this, the most recent Main Set I have released, Bottomless Seas, also included a new support card called Commander of the Wild that supports cards with low ATK and DEF, but also this set includes Battledome that also supports that, as well as Angel of Creation and World Oracle, which support them in general. Another interesting thing about this set is that the Object and Location Sub-Groups have also gotten Non-Effect cards, and those break the rules that Object and Location normally have, it's unlikely I will make more like this, but we'll see what happens. Also, I have made a list of all the Non-Effect cards so far, as well as support for them, which you can find by clicking here. Amazing Power: The third mini set is called Amazing Power (AMP). It features 15 new cards. All cards in this have at least 30 ATK or DEF, with the highest reaching 50 ATK and DEF. A lot of these cards feature a lot of interesting and powerful effects, like Thunderclap Raindragon that negates MOVER, FLIPPER and SAFE, or Illusa, Ghost of Savilia that makes all cards in the Location Sub-Group lose STATIONARY, so you can move them freely. It also features a new Ambusher, Prime Ambusher, which you must have all the other cards in the Ambusher series to keep its powerful stats. Many of these cards can fit into any deck, though some like Curse of the Dark Torch and Queen of the Underworld are exceptions and work in the Fire Group and Demon and Undead Sub-Groups, respectively. Edited by Zaziuma, 06 October 2018 - 03:06 PM. The newest set has been released! You can view the new cards on deviantart by clicking here. There's a lot here, but I can give you a tip for UI design. Instead of having 3 rows of 10 cards lined up next to eachother, you could just have 3 decks of cards you can draw out of. This would save space, and would allow for you to make a board that isn't 3 by 10, maybe 3 by 4/5 to make the move phase matter more. This is an interesting game from what I'm looking at, but I'm not going to be able to analyze this in one day. I'm also going to post a card game idea I spent a couple months on, so maybe you could check that out later. Didn't actually know this part of the YGO card maker community existed. Pretty cool. The Move Phase does matter quite a bit actually, a lot of cards rely on having cards adjacent to them, some cards like being in certain zones because their ATK and DEF are higher in them, some have effects that only activate in certain zones. Since you don't know the cards you flip up, you sometimes need to move them. I don't understand how making the field smaller would help either. Regardless, at this point the game is designed with that in mind, having cards that can move with face-down cards, being able to see face-down cards for other effects, flip them face-up and much more, so a good deal of cards would have to be removed or changed to make that happen, so I would probably never do this regardless. The game was designed with this in mind from the start, even when it was called Power Realm, it was my basic concept when I started, such a fundamental change would make the game different from what I had in mind. I appreciate the idea, but I decline it. Surprise, due to the amount of time I took for the last release, here's a release way earlier than normal. You can view the new cards on deviantart by clicking here. Burst of Flames: The thirteenth set is called Burst of Flames (BOF). This is the sixth set not to introduce any new Groups or Sub-Groups, however it introduce a new Name-Group called Dragonforge, which are all in the Dragon Group and Draconic Sub-Group, and are also in the Fire Group while face-up on the field, and focus on the new game mechanic, equipping, which you can read about in the advanced gameplay section in the rules. It also introduces 3 new Terms, those being RECOIL, ACTIVE, SUSTAIN, which you can read about in the rules. I'm doing something a bit different, I am going to release mini sets, consisting of only 10-20 cards instead of the usual 30 cards. Normal sets will still be released, but these will come in-between them, for various reasons, such as me wanting to explore more options for cards and support specific things, rather than trying to support everything in one set, and so I can post cards more often. The newest set has been released! You can view the new cards on deviantart by clicking here. Also, I have already finished another mini-set, however I'll wait on releasing that for a few weeks, as I wanted to make the main set stand out more. The newest set has been released! You can view the new cards on deviantart by clicking here or in Magic Set Editor by clicking here. There are also quite a few other things I have done, firstly you can now download and view all the cards in Magic Set Editor, which is the program I used to make the cards. I'll of course upload the newest version when a new set comes out. Next, which the hugest thing, I have updated the rules document quite a lot, the main addition being a list of all the Groups, Sub-Groups and Name-Groups, along with descriptions for each of them, it's quite extensive and has some fun lore bits and pieces as well, so I suggest looking at it. Along with that, an important update in regards to how the Flip Phase works, previously you flipped each card up separately, however I realized that if you filled your deck with cards with FLIPPER, you could simply flip up every single card you had, so instead you flip all cards up at the same time during the Flip Phase instead. In fact, a new card in Amazing Power called Slizz Hoard plays into this change as well. Some other minor changes include a bit of formatting changes, a section was cut and merged into another one, and each was giving a number so it's easier to point things out, for example the new section is called "Part 5: List of Groups, Sub-Groups and Name-Groups". Lastly, a minor thing, on deviantart, I had some issues regarding formatting, some didn't have any text at all for some reason, along with a mistake I made by saying Power Realm instead of Power Zone in some of the older posts, but through a long and tedious process, are all fixed now, along with the formatting being correct. The newest set has been released! You can view the new cards on deviantart by clicking here or in Magic Set Editor by clicking here.